AutPlay Therapy is a behavioral play-based treatment approach to working with children and adolescents with autism spectrum disorder and other developmental disabilities. This innovative new model contains a parent-training component (wherein the therapist trains parents to do directive play therapy interventions in the home) and can be utilized in any setting where children and adolescents with an autism disorder, ADHD, dysregulation issues, or other neurodevelopmental disorders are treated. 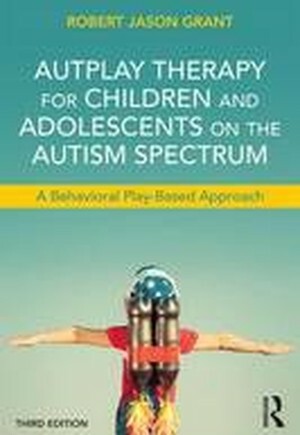 This comprehensive resource outlines the AutPlay Therapy process and offers a breakdown of treatment phases along with numerous assessment materials and over 30 directive play therapy techniques. Introduction. 1 Autism Spectrum Disorder. 2 Developmental Disabilities. 3 Influences on AutPlay Therapy. 4 Play Therapy. 5 Behavioral Therapy. 6 AutPlay Therapy Approach. 7 Emotional Regulation Ability 8 Social Skills Development. 9 Connection (Relationship Development). 10 Parent Training. 11 Phases of AutPlay Therapy. 12 AutPlay Follow Me Approach. 13 Research. 14 Case Studies. 15 Emotional Regulation Interventions. 16 Social Skills Interventions. 17 Connection Interventions. Appendix A: Therapy Inventories. Appendix B: Therapy Treatment Plan Profile. Appendix C: Additional Play Based Treatments. Appendix D: Apps for Autism and Developmental Disorders. Appendix E: Additional Resources.